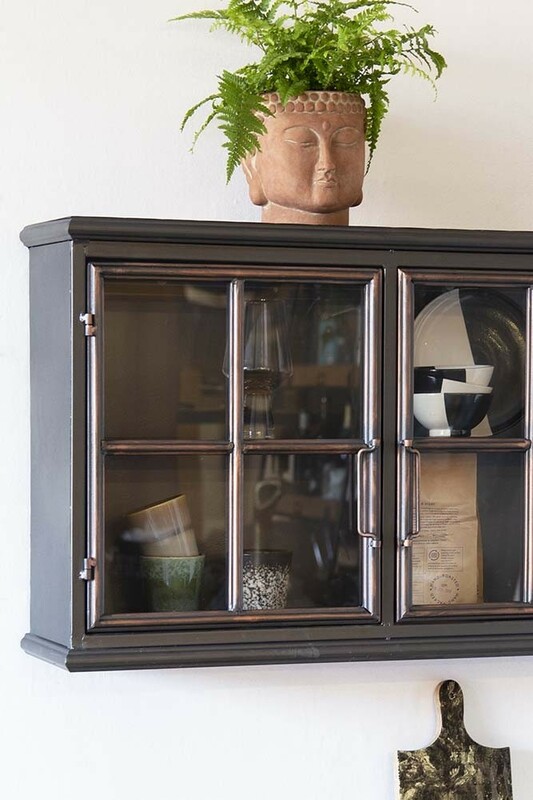 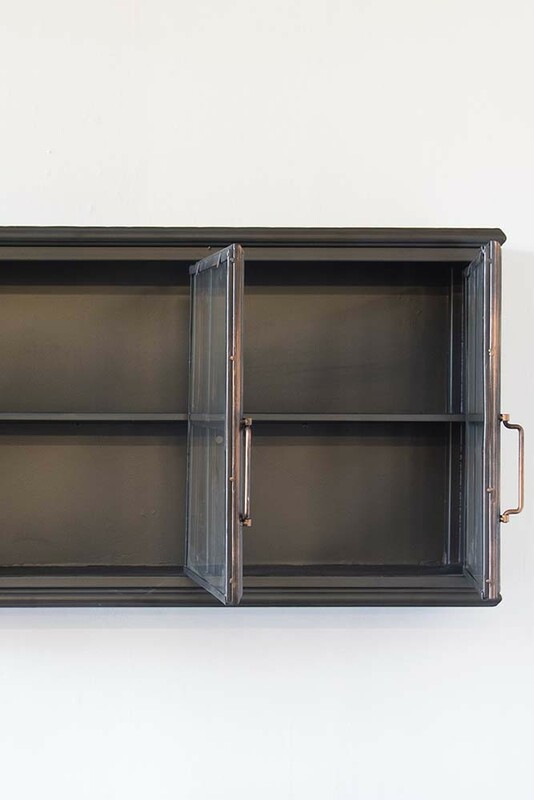 A thing of beauty and function; the Industrial Style Crittall Glass Wall Cabinet is statement storage at its very best. The Industrial Style Crittall Glass Wall Cabinet is the perfect kitchen cabinet to fill with your favourite plates, mugs, and kitchen pieces – a brilliant alternative to traditional open-shelving units! 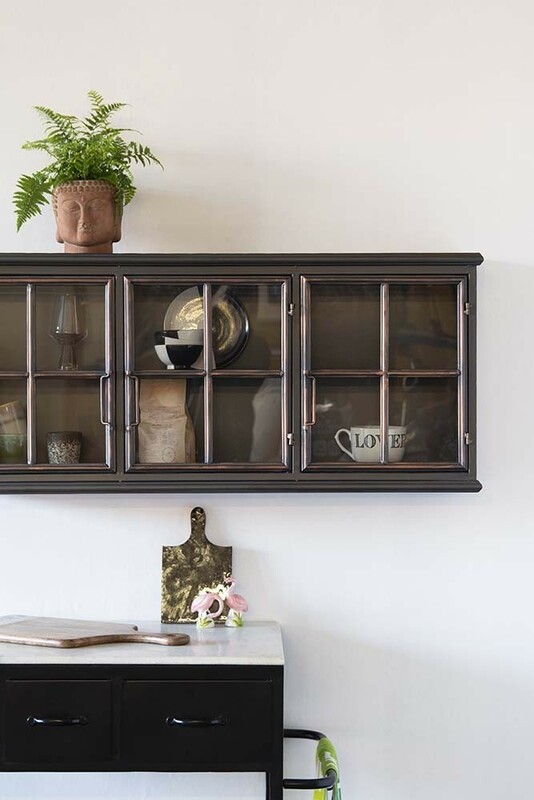 Not just a kitchen storage unit, this multi-functional cabinet could be used in your living room or bedroom as a gorgeous display shelving unit or a Cabinet of Curiosities, as we like to call it! 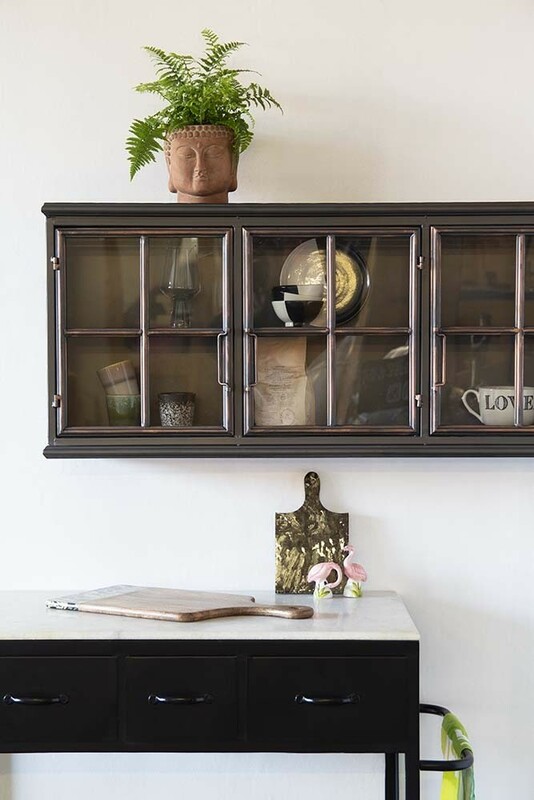 Co-founder, Jane Rockett, has filled her Cabinet of Curiosity with her children’s artwork, favourite photographs, shells from the beach and treasured ornaments and it stands in her living room as a lovely reminder of her favourite things and special memories. 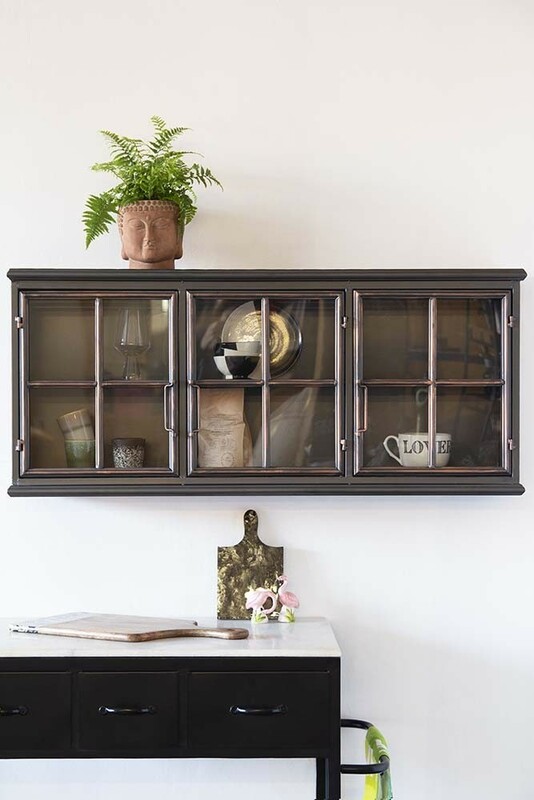 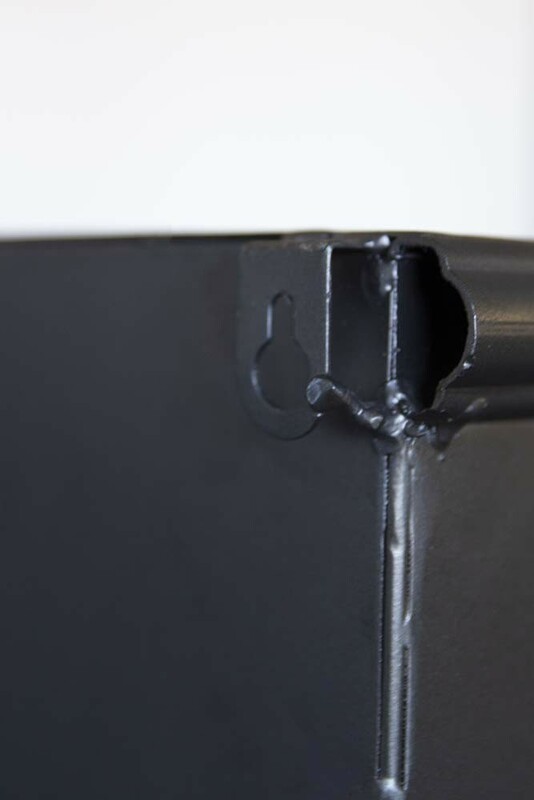 Simple and stylish, please note that the Industrial Style Crittall Glass Wall Cabinet is heavy and so will need to be securely mounted your walls.